A living tradition of nature spirituality rooted in Celtic antiquity and revived to meet the challenges of contemporary life, Druidry offers people a path of harmony through reconnection with the green Earth. 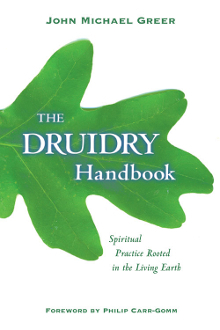 The Druidry Handbook is the first hands-on manual of traditional British Druid practice that explores the Sun Path of seasonal celebration, the Moon Path of meditation, and the Earth Path of living in harmony with nature as tools for crafting an earth-honoring life here and now. From ritual and meditation to nature awareness and ecological action, John Michael Greer opens the door to a spirituality rooted in the living Earth. Featuring a mix of philosophy, rituals, spiritual practice, and lifestyle issues, The Druidry Handbook is one-stop shopping for those seriously interested in practicing a traditional form of Druidry. It offers equal value to eclectics and solitary practitioners eager to incorporate more earth-spirituality into their own belief system; it also appeals to the merely curious. While there are plenty of Druid books on the market, few offer the accessibility and practical how-to instruction found in The Druidry Handbook. About Authors: John Michael Greer has been a student of the occult traditions and nature spirituality for more than twenty-five years. 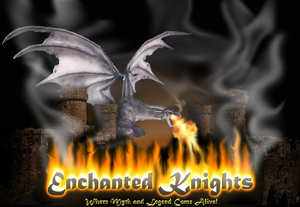 He is the author of numerous articles and more than ten books including Natural Magic, The New Encyclopedia of the Occult, The Druidry Handbook, and The Druid Magic Handbook. He is also the co-author of Learning Ritual Magic and Pagan Prayer Beads. He lives in Ashland, Oregon with his wife Sara. Philip Carr-Gomm is Chief of the Order of Bards, Ovates and Druids and the author of a number of works on Druidry.